It is Wilson’s 8th Birthday today. I’m not sure where those years went. In dog terms that means he’s reached the status of a “Senior”, but I’m not sure I hold much store by those arbitrary boundaries. He gets some special treats today to mark the occasion. The weather is not being particularly compliant today, and it’s been raining most of the night and all morning so we might postpone a special walk until tomorrow, or we might just go anyway as the forecast for the next few days doesn’t look any better. 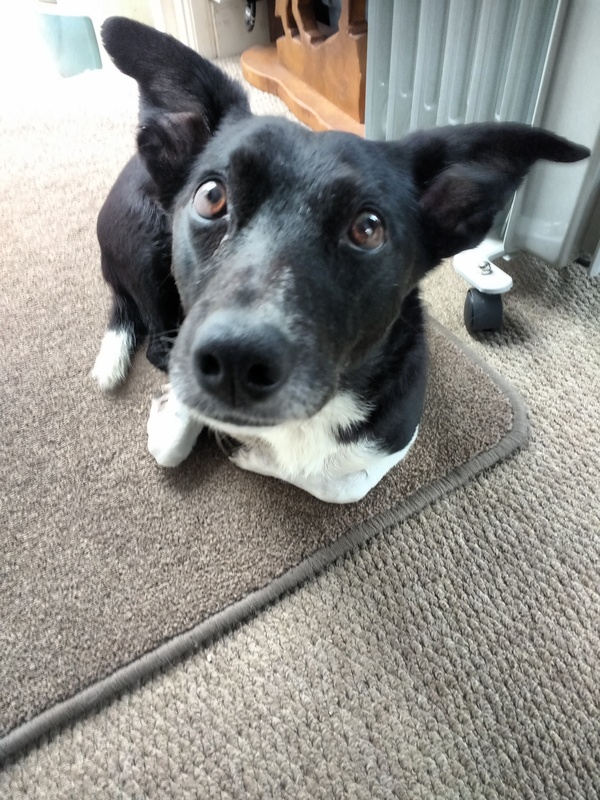 This entry was posted in Dog, pupdate, Wilson's Story and tagged dog, wilson. Bookmark the permalink.